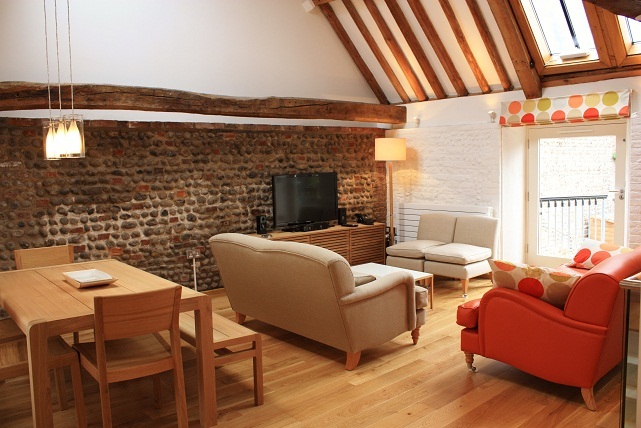 1 The Granary is a superb, high quality renovation in the historical old Granary building next to The Quay in the ever popular village of Blakeney. 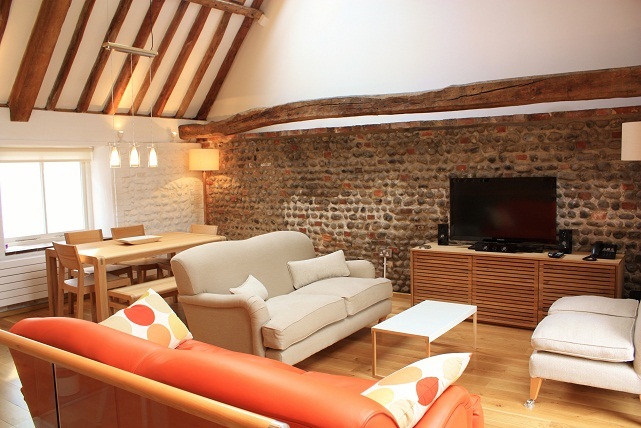 Offering luxurious accommodation for 6 people with 3 bedrooms and 3 bathrooms 1 The Granary is in a wonderful location within easy walking distance of all of Blakeneys amenities. 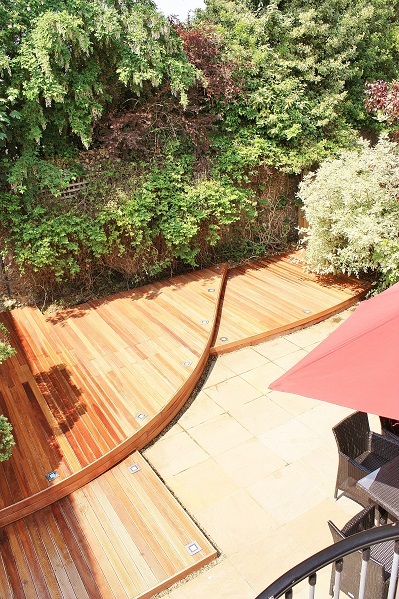 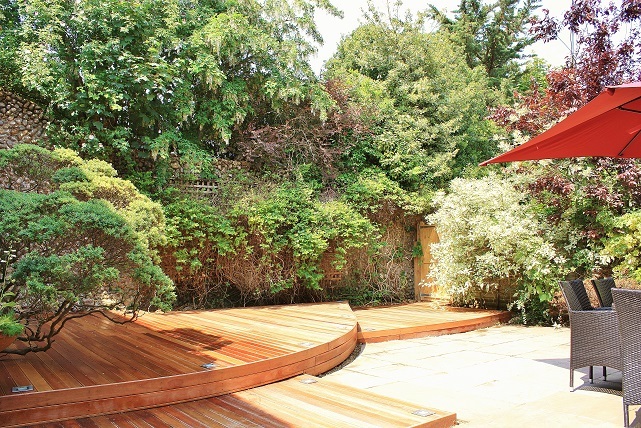 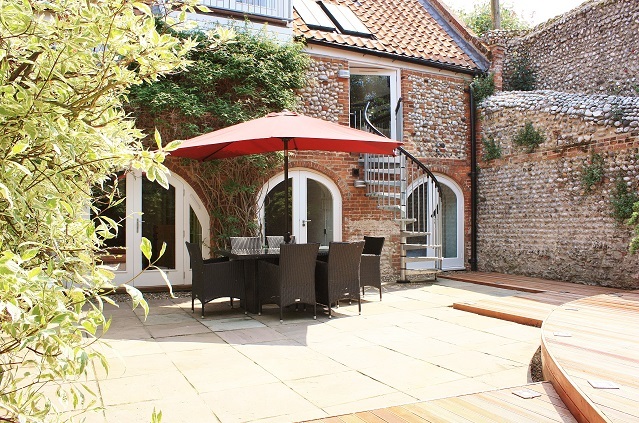 It also has the benefit of off road parking and an enclosed courtyard garden. 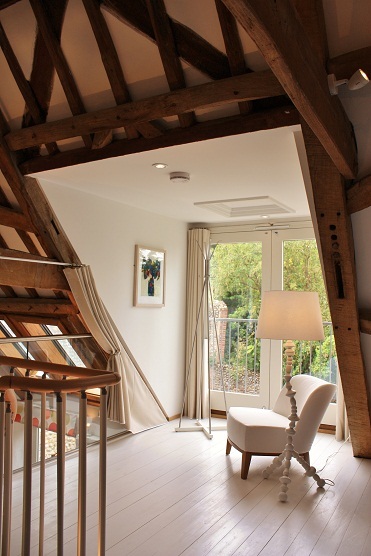 The majority of the property is set over two floors with a cleverly-finished third floor mezzanine twin bedroom with Juliet balcony overlooking the garden. 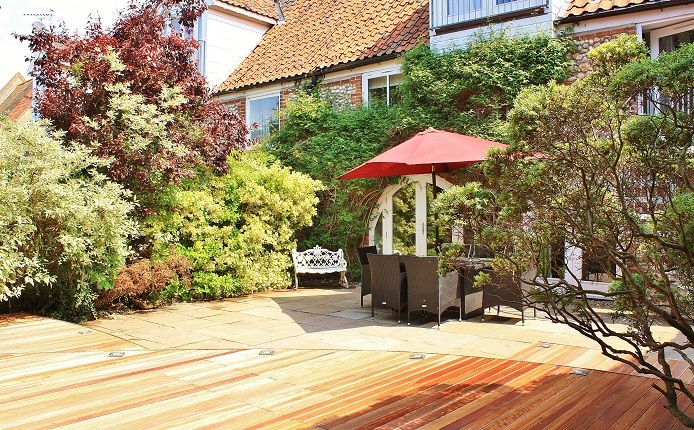 One enters the property off the High Street and in to the spectacular, contemporary open plan kitchen/living/dining room. 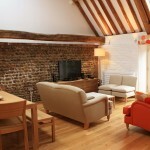 The sitting area has stylish, comfy soft furnishings as well as a high end home cinema system which includes a large LCD T.V., Blue Ray player, Sky, surround sound and iPod docking station. 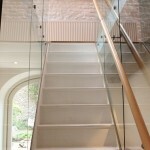 There is a glass door leading from the sitting area, down a spiral staircase to the courtyard garden. 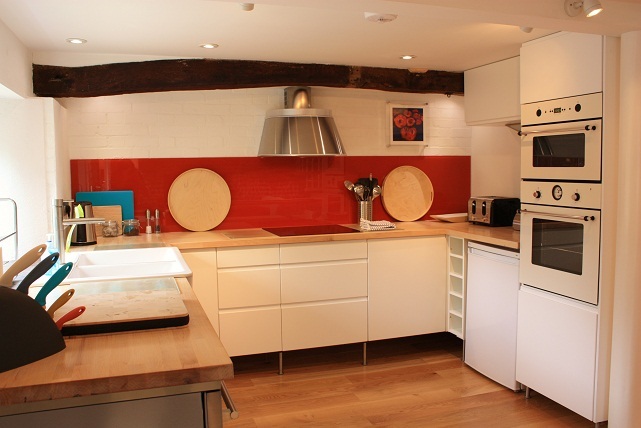 The dining table is a good size and will comfortably seat 6 and the modern kitchen is well equipped with everything you would expect including double electric ovens, a halogen hob and dishwasher. 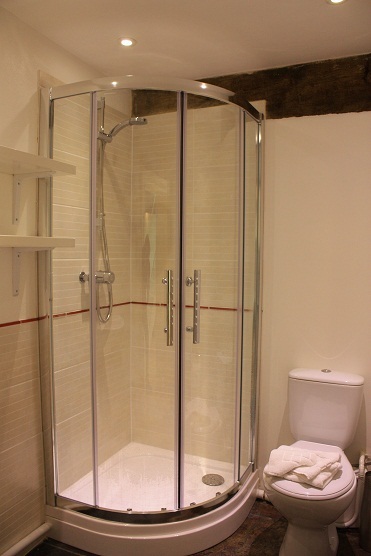 On this floor there is also a good sized family bathroom with shower above the bath. 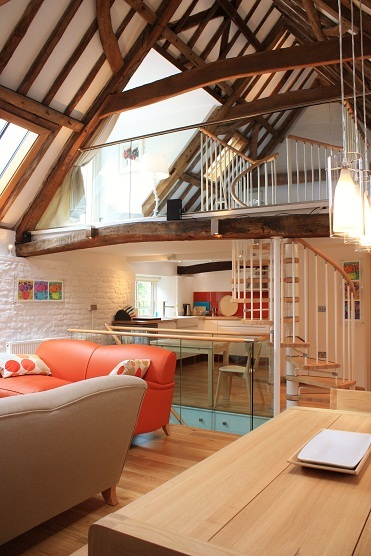 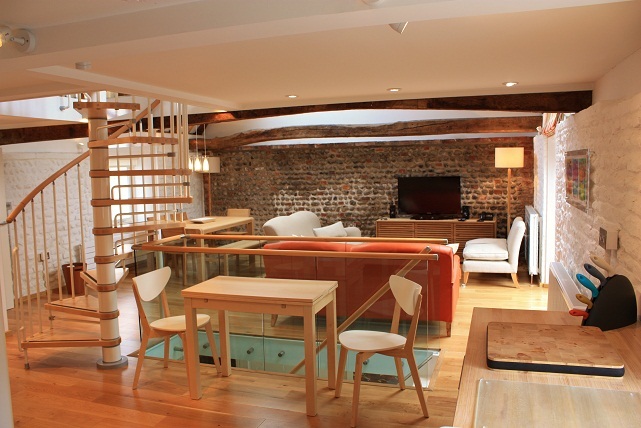 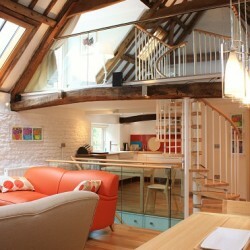 A spiral staircase leads from the living room up in to the large mezzanine bedroom with its exposed original oak beams. 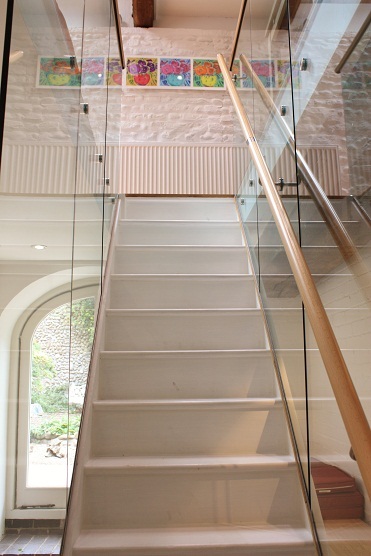 Down the stylish glass lined staircase on to the ground floor there are two further bedrooms; a king sized double room and a twin. 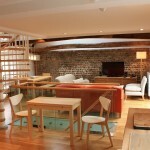 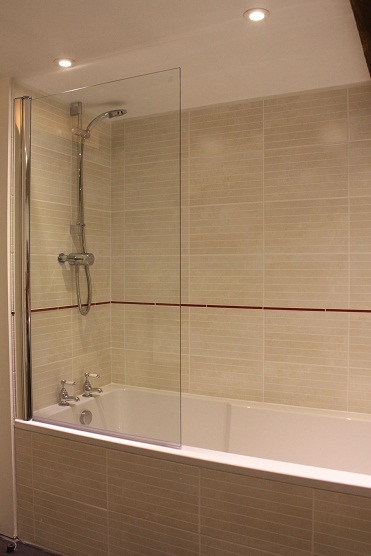 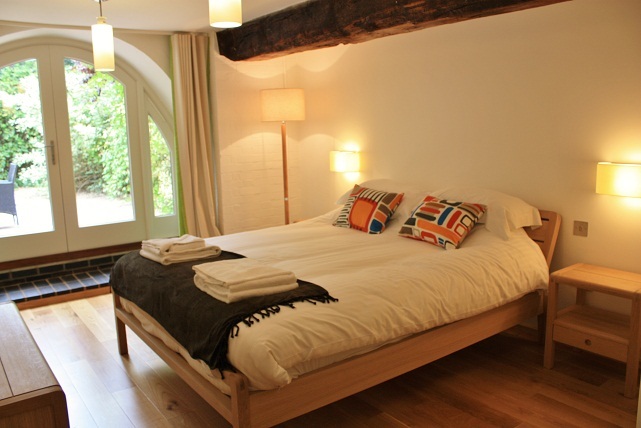 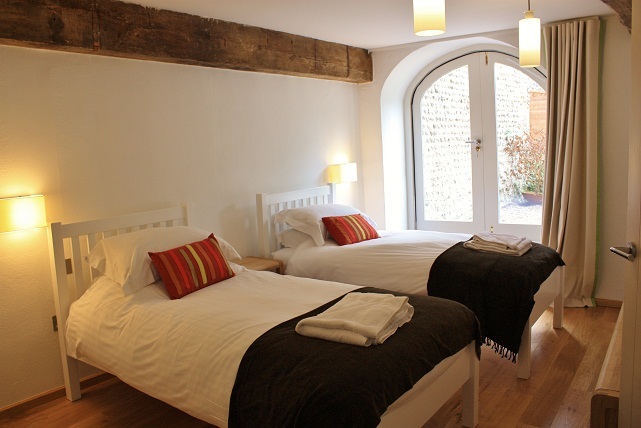 Both of these rooms have en-suite shower rooms and access to the courtyard garden. 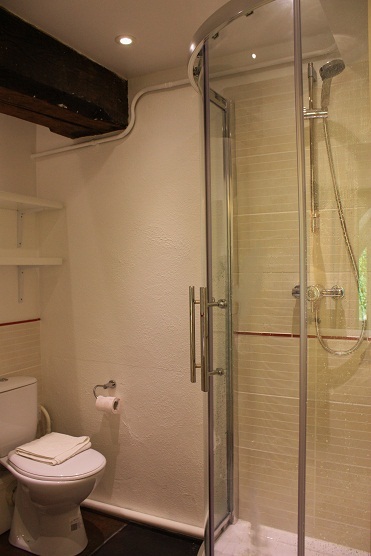 There is also a utility room on the ground floor with a washer/dryer. 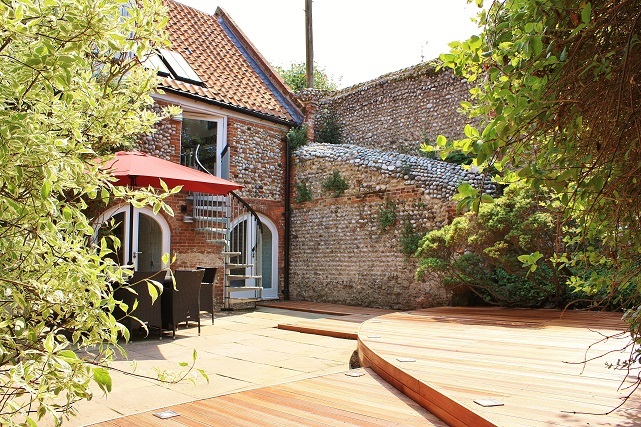 To the rear of 1 The Granary is a good sized courtyard garden (so rare in the centre of Blakeney) with a BBQ and modern outdoor furniture with a large parasol. 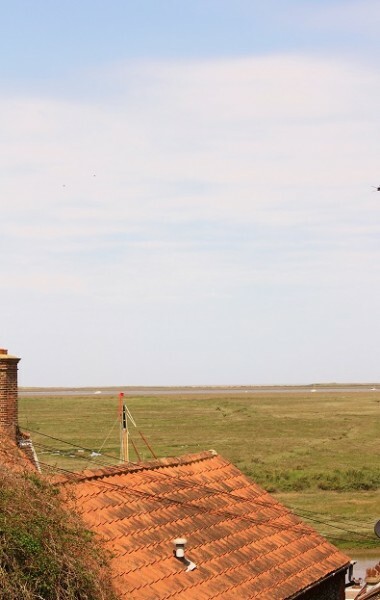 1 The Granary’s location near to The Quay in Blakeney means that the ever-popular White Horse Hotel and ‘The Moorings’ bistro style restaurant are near-by. 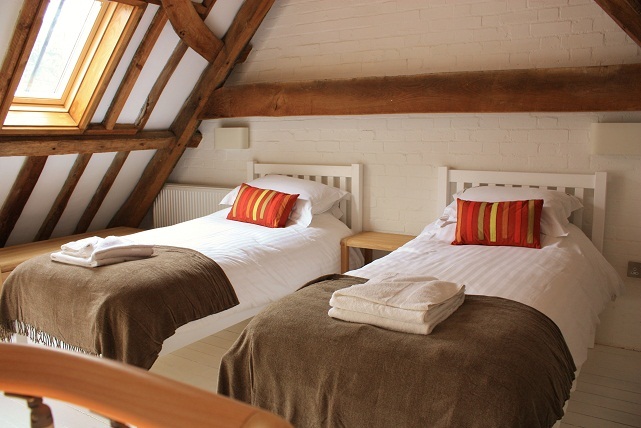 The contemporary, stylish and practical accommodation that 1 the Granary offers will appeal to many and it has become a very popular addition to our portfolio.